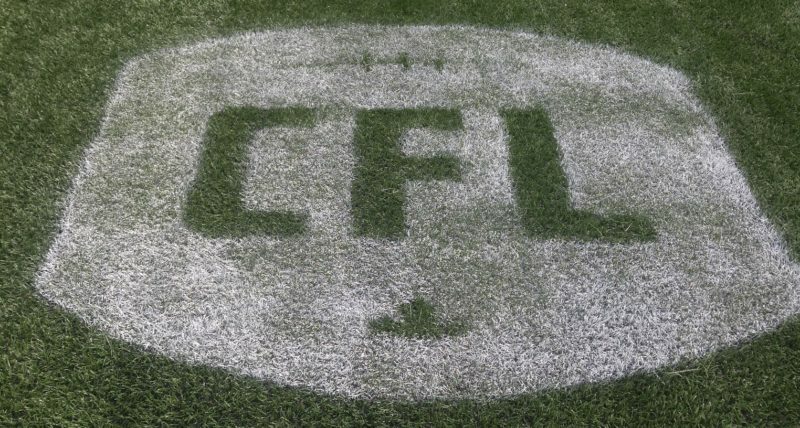 There’s no perfect analogy to properly describe the absolute madness that is the opening of the Canadian Football League free agent market. Picture a general manager juggling chainsaws – flaming chainsaws, just to further enhance the mental image – while perched on a unicycle wheeling into an all-you-can-eat buffet. Yes, the eve of free agency can be positively nutty, what with football types desperately trying to lock up their own talent before the market opens Tuesday at 11 a.m., all the while hungrily eyeing all the players available. And, given the prevalence of short-term contracts and the uncertainty around an expiring collective bargaining agreement, that buffet is overflowing with options. 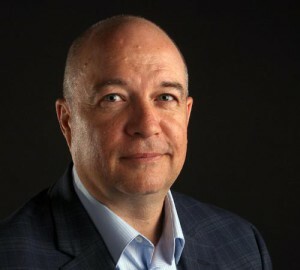 Each CFL team will bring a unique perspective to free agency, with seven clubs – B.C., Edmonton, Calgary, Saskatchewan, Ottawa and Toronto – having questions at the quarterback position. Some organizations will attempt to tinker, while others must blow up their rosters and start fresh. 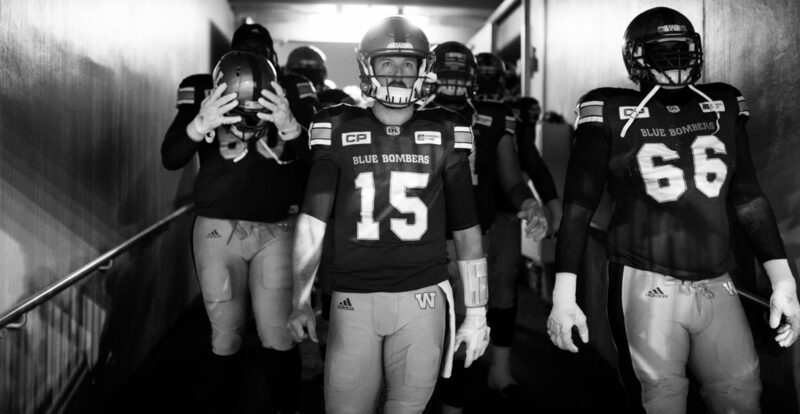 The Winnipeg Blue Bombers’ unique perspective is this: they have their QB depth chart set with Matt Nichols, Chris Streveler and Bryan Bennett all under contract – and prospect Bryan Schor also under contract – and even with nine starters soon to become free agents, are also in the position to augment a lineup that has won the second-most games in the CFL to the Calgary Stampeders over the last three years. The asterisk to that, of course, is that the team has only one playoff win over that span. That said, that’s light years away from where this franchise was just a few years ago, when attracting free agents to Winnipeg was the most difficult sales pitch in the league. “When you’re not winning football games, which we weren’t, clearly your roster is not strong enough,” said Bombers GM Kyle Walters late last week. “So it’s easy to say, ‘These guys aren’t good enough, so let’s just move on. Move on and let’s try to add.’ Remember back then we were adding almost double digit guys in free agency, which you tend to have to over pay for to lure them in. That was the reality of the situation when you’re not a very good football team and you want to get good football players: you have to over pay for those football players. What’s happening now is we’re more interested in keeping our core intact and trying to figure out which guys we want to stay and can afford. Pending any last minute deals, the Bombers will enter Tuesday’s market with 14 pending free agents, including nine starters from 2018. The starters are defensive back Brandon Alexander, safety Taylor Loffler, cornerback Kevin Fogg, linebacker Jovan Santos-Knox, defensive tackle Drake Nevis, defensive end Tristan Okpalaugo, right guard Sukh Chungh, slotback Nic Demski and wide receiver Weston Dressler. Rounding out the list are linebackers Frank Renaud, Frederic Plesius, defensive back Brendan Morgan, wide receiver Ryan Lankford and running back Kienan LaFrance. Here’s a position-by-position look at the Bombers current roster as they head into Tuesday’s free agent market opening. 2018 games played/starts: Okpalaugo (18/18); Nevis (18/18); Craig Roh (17/8); Jackson Jeffcoat (12/10); Cory Johnson (9/9); Brandin Bryant (10/9); Jake Thomas* (18/0), Gerald Rivers (6/0), Corney (3/0). New faces: DE Patrick Choudja; DT/DE Noble Nwachukwu; DL Evan Perrizo. Moving on: Cory Johnson, who was released last year and signed with Saskatchewan, is a pending FA. Rivers was released and Corney is moving on from football for health reasons. Synopsis: There will be change here, with both Nevis and Okpalaugo headed to free agency. 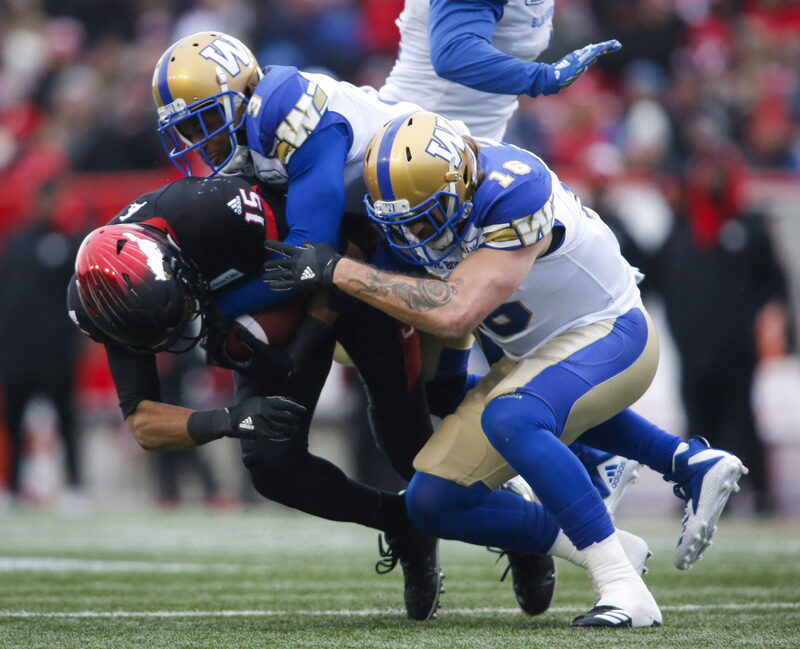 There is a possibility the Bombers could line up a Canadian alongside Bryant at the tackle position if the ratio is impacted by what happens elsewhere with the roster in terms of free agency. Translation: if Taylor Loffler and Sukh Chungh both leave, the club may go Canadian at DT to offset the impact on the Canadian ratio. Juicy DL names hitting the market: DE Willie Jefferson (SSK); DE Ja’Gared Davis (CGY); DE Shawn Lemon (B.C. ); DT Cordarro Law (CGY); DT Junior Turner* (CGY); DT Micah Johnson (CGY); Eddie Steele* (SSK). 2018 games played/starts: Adam Bighill (18/18); Santos-Knox (18/18); Chandler Fenner (15/5 – as both a DB and LB); Anthony Gaitor (10/9 – DB/LB); Maurice Leggett (9/8 – DB/LB); Ian Wild (15/0); Thomas Miles* (18/0); Jesse Briggs* (18/0); Shayne Gauthier* (10/0); Kyrie Wilson (5/0); Plesius (6/0); Renaud (5/0). New faces: Jarnor Jones; Otha Peters Jr.
Moving on: Leggett and Wild were both released in the offseason. 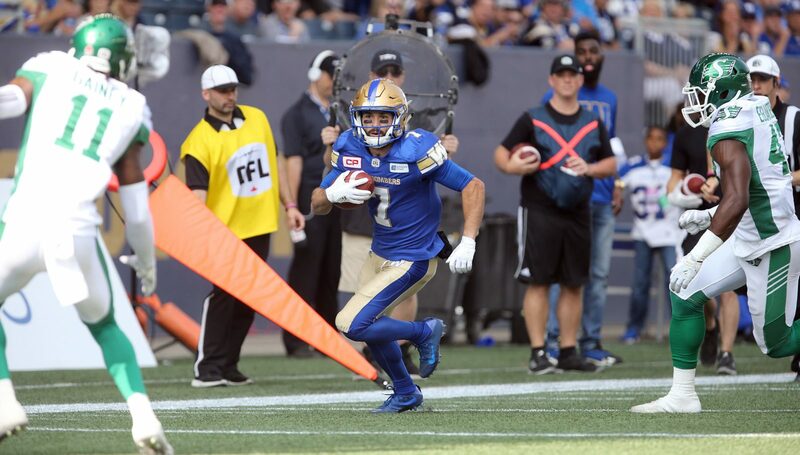 Synopsis: Re-signing Bighill was massive and locking up special teamers like Miles, Briggs and Gauthier was also important. The big one that remains is Santos-Knox, an emerging star who had drawn NFL interest but was not able to work out because of a foot injury. Re-signing Wilson might be an attempt to have something of a safety net in case Santos-Knox does not return. There is some flexibility to start Fenner at SAM linebacker and move Gaitor back to halfback, but Gaitor was most impactful at SAM. Juicy LB names hitting the market: Larry Dean (HAM); Mica Awe (B.C. ); Chris Ackie* (OTT); Bo Lokombo* (B.C. ); Marcus Ball (TOR); Jeff Knox (TOR). 2018 games played/starts: Chris Randle (17/17;, Fogg (16/16); Loffler* (16/16); Marcus Sayles (16/15); Alexander (14/14); Morgan (16/0); Chandler Fenner (15/5 – at both LB/DB); Anthony Gaitor (10/9 – LB/DB); Maurice Leggett (9/8 – DB/LB); Abu Conteh* (12/0); Jeff Hecht* (14/2); Tyneil Cooper (5/3); Robert Priester (2/2); Derek Jones* (3/0); Chris Humes (1/1). Moving on: Leggett has been released and is a free agent. Priester was released and has since signed with Edmonton. Synopsis: No position group undergoes more change annually in these parts than the secondary. Randle and Leggett are gone – Randle signed with Ottawa days after his release here – and with Loffler, Alexander and Fogg all inching toward free agency this unit could be in for an extreme makeover this season. That’s a potentially risky proposition, given the progress the defence made in the latter half of 2018. 2018 games played/starts: Matt Nichols (15/14); Chris Streveler (18/4); Bryan Bennett (18/0). 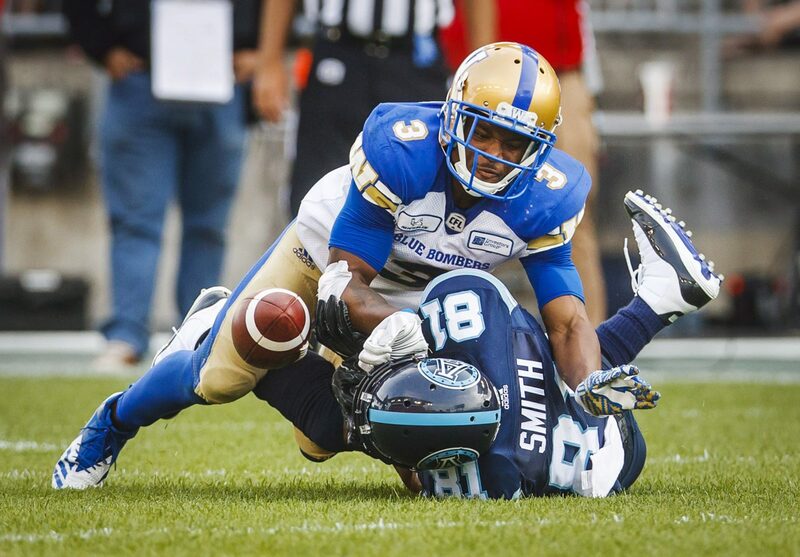 Synopsis: There is stability here, which makes the Bombers the envy of the CFL. Nichols finished an all-over-the-map 2018 season – he opened the year on the injured list, then rediscovered his game after a tough spell in late August/early September – by helping guide the team into a divisional final. 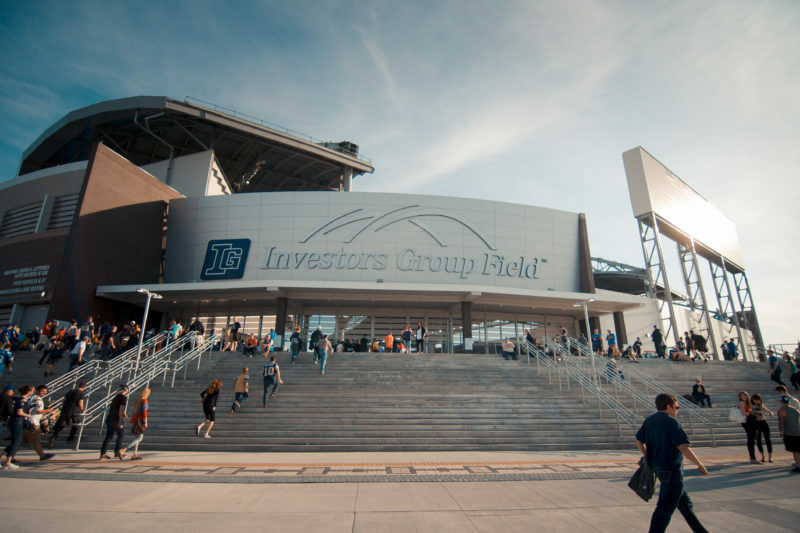 In Streveler the club has the QB prospect fans have been pining for in these parts for decades. Bennett is more an option on special teams than as a future starter at QB, which makes the addition of Schor an intriguing one for camp. Moving on: Bowman was released in the summer, resurfaced in Montreal and is scheduled to become a FA again. Henry was released last fall. Synopsis: An area openly targeted by GM Kyle Walters after last season as needing an upgrade. That appears to be coming with both Dressler and Demski heading to free agency. The team could address the loss of Demski and how that impacts the ratio by moving Wolitarsky permanently inside to slotback and starting Simonise or Petermann at wide receiver. The number of veteran names hitting the market around the league means there are potential upgrades readily available and the signing of Johnson and Williams – in addition to holdovers from last year in Washington and Lawler (practice roster) – means Paul LaPolice will have a number of options when training camp opens. Juicy receiver names hitting the market: Derell Walker (EDM); Greg Ellingson (OTT); DeVier Posey (B.C. ); DaVaris Daniels (CGY); Juwan Brescacin* (CGY); Chris Matthews (CGY); Naaman Roosevelt (SSK); Manny Arceneaux (B.C. ); B.J. Cunningham (MTL); Mike Jones* (HAM). 2018 games played/starts: Andrew Harris* (18/18); Mike Miller (18/0); Johnny Augustine (9/0); Kienan LaFrance (16/0); John Rush (13/0); Timothy Flanders (1/0). Synopsis: Andrew Harris is defying science by playing the best football of his career at age 31. He is the back-to-back CFL rushing champ and has shown absolutely no signs of a decline, having rushed for a career best 1,390 yards last year. 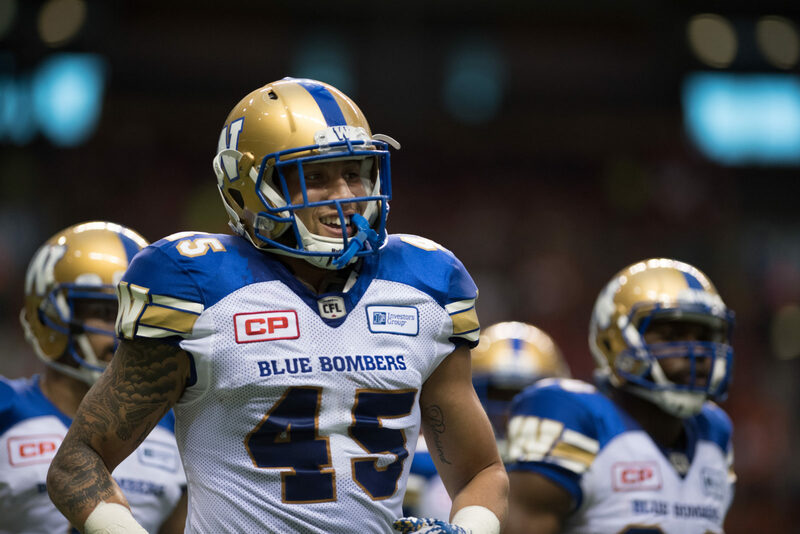 Augustine was re-signed in December while LaFrance is a pending free agent, meaning the Bombers have opted for the younger and cheaper option to back up Harris. Juicy RB names hitting the market: William Powell (OTT); Chris Rainey (B.C. ); Jeremiah Johnson (B.C. ); Tyrell Sutton (B.C. ); Mercer Timmis (HAM); Nikita Whitlock (HAM); Chris Normand (EDM). 2018 games played/starts: Stanley Bryant (18/18); Matthias Goossen* (18/18); Sukh Chungh* (17/17); Jermarcus Hardrick (15/15), Patrick Neufeld* (18/18); Manase Foketi (2/2); Michael Couture (18/2); Cody Speller (2/0); Geoff Gray (1/0); Qadr Spooner (1/0). Moving on: Goossen recently retired to join the police force in Delta, B.C. ; Spooner was not re-signed. Synopsis: Change is coming to a group that has been so steady over the majority of the last three years. Couture will be the leading candidate to replace Goossen at centre and while contract talks are continuing with Chungh, it seems as if the club might be opting to let him hit the market on Tuesday. Gray, a first-round pick in 2017, is an intriguing option at guard and the Bombers could use their fourth or fifth overall picks in the upcoming draft to find more help here. But Bombers coaches have been raving about Foketi for eons and he could push for the club to return to using three imports on the O-line, even with the impact that would have on the ratio. Juicy OL names hitting the market: Tyler Holmes* (TOR); SirVincent Rogers (OTT); Jovan Olafioye (B.C. ); William Campbell (TOR); Travis Bond (EDM); Spencer Wilson* (CGY); Randy Richards (CGY). 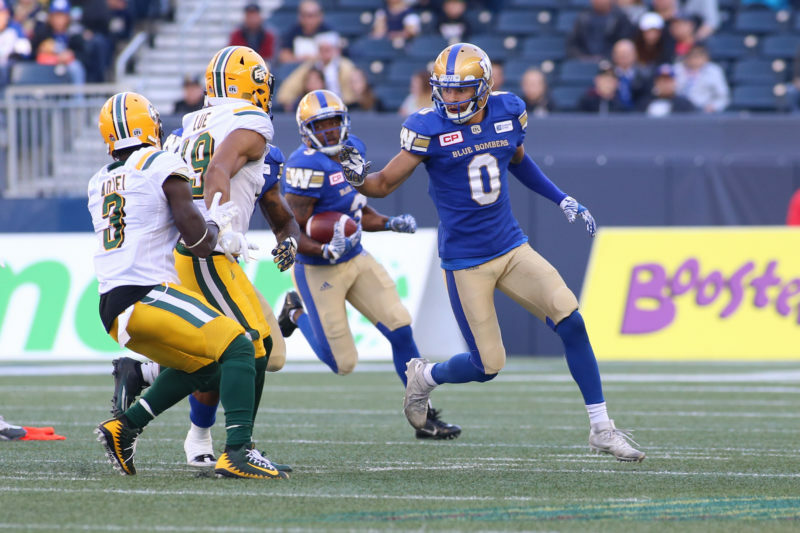 Synopsis: The kicking battery – Rempel to Medlock – is intact, but who handles the kick-return chores will be impacted if Fogg, Lankford and also Nic Demski don’t return. Medlock still holds his place as one of the best kickers in CFL history; ditto for Rempel as the snapper. The opening is in the return game and Charles Nelson, who made his CFL debut in a solid way in the regular season finale, is option No. 1 although there are candidates in free agency.